Beginning Friday April 27, Metrograph will present a 10-film retrospective of Emilie de Antonio. Intimate of Andy Warhol, John Cage, and the Weather Underground, few men lived though and chronicled the tumult of the 1960s and their aftermath as fully as de Antonio: savage satirist, collagist, political polemicist, montage artist, and fiercely independent filmmaker. Beginning with 1963 debut Point of Order, a brilliant distillation of 188 hours of the Army-McCarthy senate hearings, de Antonio tirelessly depicted the events of the day through a visionary, experimental lens, tackling the Warren Report (Rush to Judgment), the Vietnam War (In the Year of the Pig), and the Nixon debacle (Millhouse: A White Comedy). Essential now, essential always, and still thrillingly unreconciled. Working with co-producer Dan Talbot from 188 hours of kinescopes from the CBS archives depicting the Army-McCarthy senate hearings, of “At long last have you no sense of decency” fame, de Antonio distilled down this taut true-life political-moral thriller, which following an opening narration by the director puts aside voiceover completely, allowing the historical record to speak clearly and convincingly for itself. Print courtesy Wisconsin Center for Film & Theater Research. Preservation by UCLA Film and Television Archive and The Film Foundation. An early and perhaps never exceeded entry in the field of Warren Report-skepticist works, Rush to Judgment, made in collaboration with attorney Mark Lane, reopens the case of John Fitzgerald Kennedy’s assassination in a manner both methodic and wholly absent of overreaching conspiratorial speculation. Documentary as inquest, beneath its cool surface a lm burning with a fervent desire for questions to be answered and justice to be done. Print courtesy Wisconsin Center for Film & Theater Research. De Antonio’s best-known lm is a landmark of the burgeoning artistic protest against U.S. policy in Vietnam, drawing together found-footage material to create a comprehensive primer on the region’s colonial past and its destructively militarized present, its steady accumulation of photographically-indisputable facts gradually adding up to a sweeping damnation of American involvement—a lm that doesn’t need to raise its voice to issue a deafening roar of protest. 35mm restored print courtesy of UCLA Film & Television Archive. Offering an embedded perspective from inside cerebral Minnesota Congressman Eugene McCarthy’s campaign for the Democratic presidential nomination, de Antonio observes the last stand of peace politics and moral sanity on the national American political field, including extensive footage from the Wisconsin and New Hampshire policies that ended LBJ’s ambitions to return to the White House. A eulogy of sorts, shot through with moments of hope—the rare de Antonio work driven by adulation rather than outrage, and one of his hardest to see. Courtesy of The Circulating Film & Video Library/The Museum of Modern Art. A biopic portrait of Richard Nixon as complicated, pathos-ridden, and ultimately absurd as the man himself, de Antonio’s found-footage comedy/picaresque follows Number 37 on his rise to power, both admiring the young Nixon’s poor boy’s ambition and drive and taking careful note of his boundless capacity for hypocrisy, resentment, and double-dealing. In making the film de Antonio worked tirelessly to excavate Nixon’s career-pivot “Checkers” speech, which will be screened in its entirety. Print of Millhouse courtesy Wisconsin Center for Film & Theater Research. De Antonio had been an intimate of the American Pop artists well before turning to filmmaking, and as such brought a unique access and understanding to this documentary, a series of profiles of painters and art world gures based around the Metropolitan Museum’s exhibition ‘New York Painting and Sculpture: 1940-1970,’ whose cast includes Willem de Kooning and Helen Frankenthaler, modernist mandarin Clement Greenberg, art dealer Leo Castelli, and collectors Robert and Ethel Scull. A televised discussion with host Robert Gardner and De Antonio, along with visual anthropologist Edmund Carpenter. At the heart of Underground are de Antonio, Lampson, and Wexler’s clandestine interviews with on-the-lam militant “Weatherpeople” Bill Ayers, Kathy Boudin, and Bernadine Dohrn—the very existence of which were enough to get the filmmakers subpoenaed by the FBI—but this footage is woven into a larger tapestry of contemporary leftist activist filmmaking activity, including excerpted material from Chris Marker, The Murder of Fred Hampton (1971), Jane Fonda’s Indochina Peace Campaign, and de Antonio’s own cinema, making for a kind of State of the Counterculture review. Courtesy of The Circulating Film & Video Library/The Museum of Modern Art. In September of 1980, a group of anti-war activists who would come to be known as the “Plowshares Eight” were charged in connection with the destruction of materials intended for nuclear warheads in King of Prussia, Pennsylvania. Starring the actual priest participants in the incident, Fathers Philip and Daniel Berrigan, the latter who’d appeared in In The Year of the Pig, and Martin Sheen in the role of their judge, In the King of Prussia is de Antonio’s passionate, engaged reconstruction of their subsequent trial.Courtesy of The Circulating Film & Video Library/The Museum of Modern Art. 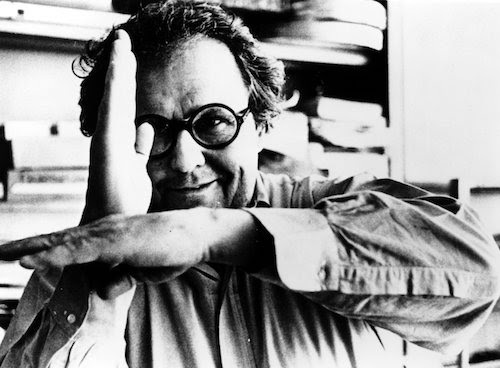 De Antonio’s final film, released in the year of his death, is a bold departure from his famous found-footage mode, in which the filmmaker noted for eschewing narration appears directly addressing the camera in autobiographical reverie, reflecting on the events of his seventy-year life and the parallel rise of the American police and surveillance state under the guidance of J. Edgar Hoover, who’d once ordered another kind of biography of de Antonio: a 10,000 page investigative dossier. Courtesy of The Circulating Film & Video Library/The Museum of Modern Art.